Notes: This title comes with a digital Ultraviolet copy of the film. This title has been given a number of Blu-ray releases. Each of these releases is different in various ways. This edition contains all of the supplements that were included with the 70th Anniversary Edition (with the exception of the CD of Max Steiner’s Gone with the Wind score) along with a brand new Blu-ray disc that features two new featurettes. The memorabilia included in this set is also different than that included in the 70th Anniversary Edition. Gone with the Wind is the quintessential Hollywood epic, and remains history’s all-time domestic box-office champion ($1.6 billion – if adjusted for inflation), with more tickets sold than any other movie ever made. It is David O. Selznick’s magnum opus, despite the producer’s attempts to surpass the success of the film. The production was originally helmed by George Cukor, but Selznick replaced the director with Victor Fleming shortly after the film began production. Despite a somewhat troubled production, the film was a hit with audiences and critics alike. 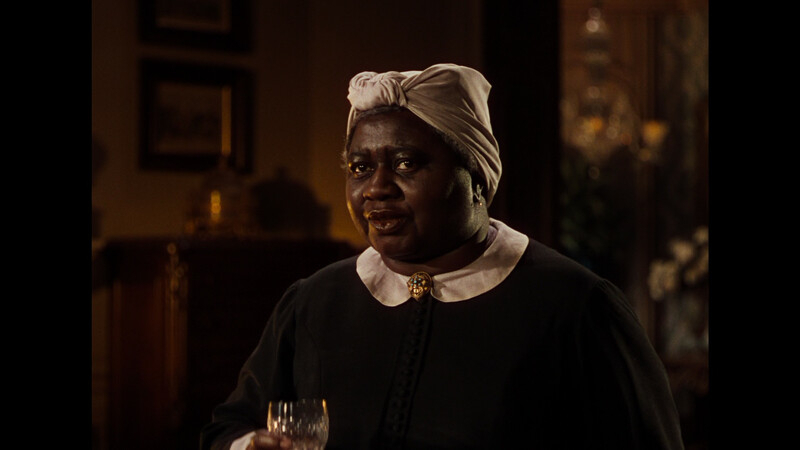 It captured 10 Academy Awards® including Best Picture, Best Director, Best Screenplay, Best Actress, and Best Supporting Actress for Hattie McDaniel (the first Oscar awarded to an African-American actor), Best Original Score, Best Art Direction, Best Color Cinematography, and Best Editing. 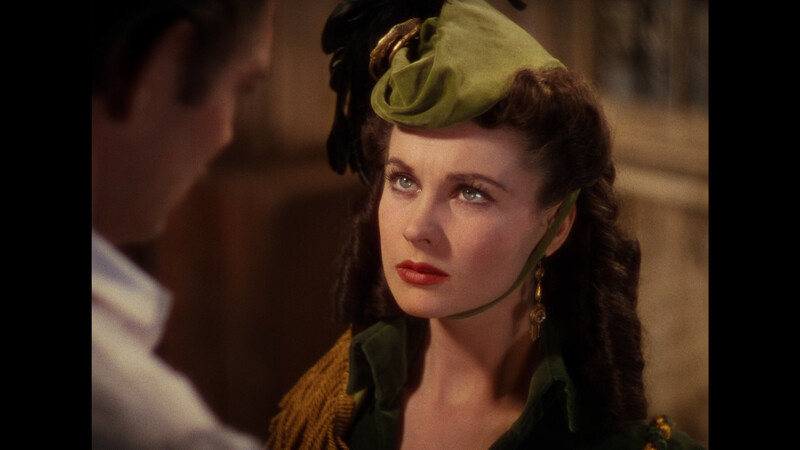 Despite evolving tastes (and heightened awareness of troublesome sociopolitical elements in the film), Gone with the Wind remains one of the most well loved and influential films from the early studio system. The film is embedded firmly into our culture, and will likely remain there for many years to come. To commemorate the 75th anniversary of Gone with the Wind, Warner Brothers has released a collectable package that should delight fans of the film. This beautiful Collector’s Set is housed in a numbered box (11″ x 8″ by 2 1/4″) with attractive film related artwork. Along with the 4-disc Blu-ray/DVD set (which is housed in the standard Blu-ray casing), fans are provided with a replica of Rhett Butler’s Monogrammed Handkerchief (which bears the initial RB), and a Music Box paperweight playing Tara’s theme with an image on top of the Rhett-Scarlett kiss. Also included is a 36-page Companion Booklet entitled Forever Scarlett: The Immortal Style of ‘Gone with the Wind’. The book features an essay written by New York fashion designer (and Project Runway finalist) Austin Scarlett, and is illustrated with beautiful photos from the film. The discs all have uniform static menus that are adorned with an attractive film related image (with the exception of the bonus DVD). Warner Brothers often impresses with their excellent restorations and image transfers. Gone with the Wind is no exception. Unlike many studios, they tend to treat their back catalog of classics with the proper amount of respect and fanfare. Better yet, they offer exquisite Blu-ray releases of these titles. While the silkscreen artwork on the disc might suggest a new transfer, the 75th Anniversary Edition contains the same transfer that was used for the film’s 70th Anniversary release. This should please fans, because the 70th Anniversary 8K restoration transfer was absolutely amazing. This VC-1 image transfer exhibits a sharpness that is very often nonexistent on films from this particular era. The film’s original 1.37:1 transfer is maintained, and showcased in all of its glory. The image contains just the right amount of grain to betray Gone with the Wind’s celluloid source, but manages to remain at an attractive level that does not distract the viewer. Colors are usually brilliant and showcase Scarlett’s many gowns with the proper majesty. Some may find skin tones to look slightly jaundiced at times, but one can probably blame the source (and it is always to a minimal degree). The mise-en-scène is given a level of detail and depth that was never seen in previous home video transfers. Compression is never a problem in the transfer (as one might expect from a film of this length). Warner Brothers should give lessons to other studios on how to properly treat catalog releases. They can use this transfer of Gone with the Wind as a visual aid. This 75th Anniversary disc offers the films original Mono soundtrack, as well as a 5.1 Mix in TrueHD. This should pacify the purists while also pleasing those who prefer the more dynamic mixes of recent films. To be honest, the 5.1 mix is rather modest. It probably wouldn’t aggravate purists as much as they might initially believe. Dialogue remains in the center channels and is consistently clear and clean. Surround channels add just the right amount of subtle depth during the films more epic moments. The hiss that washes over the film’s original Mono track is absent here. Better yet, the digital clean up didn’t noticeably disturb high end sounds. During moments where musical orchestration takes over, it can sound the slightest bit boxy (as it would in a mono mix). This is forgivable, because one cannot improve on the source elements. This is the best that the film has ever sounded on home video. This 75th Anniversary Edition might very well surpass the previous 70th Anniversary Edition release. In addition to the supplements included on the 70th Anniversary discs, fans are given a brand new disc of interesting extras. Thankfully, most of the supplements were reserved for the additional discs. However, fans are given a Commentary track with Rudy Behlmer that surpasses ones expectations. Behlmer gives an extremely accessible lesson to viewers about the film’s production that never becomes overly dry or scholarly. The track should also please people interested in the differences between Margaret Mitchell’s source novel and film version. One might be hesitant to sit through a commentary track for a film that is nearly four hours in length, but those brave enough to do so will be richly rewarded. This feature-length documentary was produced in 1988 by Daniel Selznick, L. Jeffrey Selznick, and Jonathan Wickham. It is interesting to note that David O. Selznick’s sons are producers on this comprehensive documentary on their father’s most famous film. The documentary won a Peabody Award®, which seems to be extremely well deserved. It is difficult to imagine a more comprehensive glimpse into the background of this film (or any film). At over two hours in length, is much better than the usual EPK “making of” featurettes that have become the norm. Fans are given a very real glimpse into the film’s production as home movies, screen tests, and other related footage illustrate the interviews and narration provided. It is essential viewing for fans of Gone with the Wind! This short program focuses more on the film’s legacy than on the actual production of the film. It discusses the film’s profitable re-issues to theatres, the growing fan base, and the many collectors who have much more than a casual love for the film. It is always interesting, and works as a companion piece to The Making of a Legend: Gone With the Wind. Olivia de Havilland turns out to be an extremely articulate storyteller. 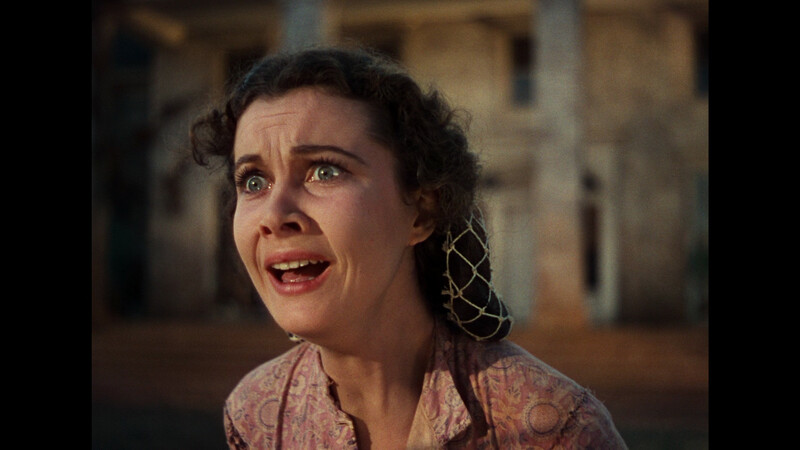 Here she takes viewers into a detailed account of her experiences shooting Gone with the Wind. It is certainly one of the many highlights on this disc, and shouldn’t be overlooked. Many people consider 1939 to be the most outstanding year for the motion picture industry. Kenneth Branagh narrates this documentary that looks at some of the wonderful films to come out of Hollywood during these twelve months. The program is organized by studio, and gives us just enough contextual information for viewers to absorb the information in a useful manner. 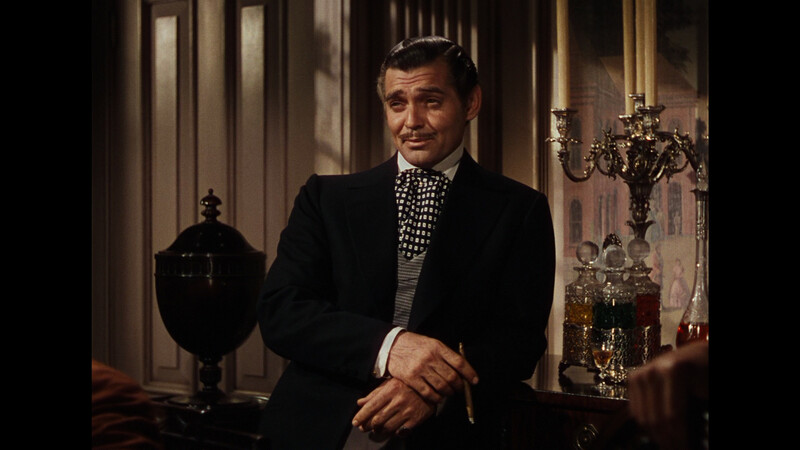 Peter Lawford hosts this documentary on Clark Gable. It is slightly more comprehensive than one might expect, and is extremely interesting. Fans of the actor should be thrilled to have it included. It is really quite interesting. 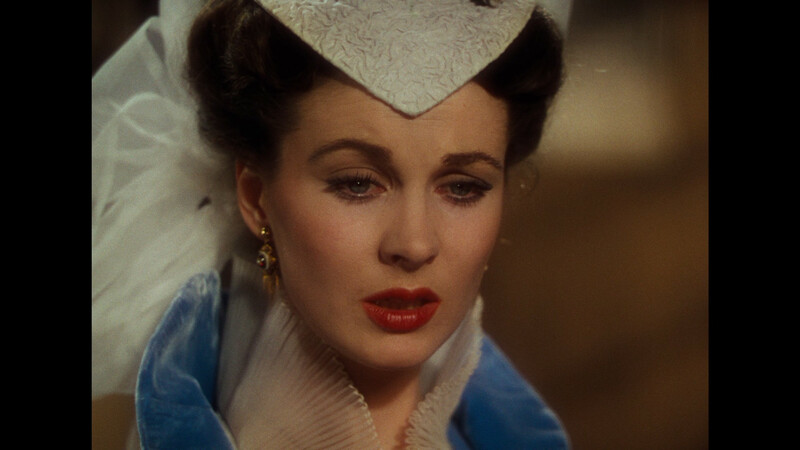 It is nice to see a program about Vivien Leigh included on this disc. Not only was the actress a major part of the film’s success, but she was also an incredibly interesting personality. Jessica Lange hosts this look into Leigh’s career. It is always engaging, but fans might wish for a more detailed and comprehensive account of her life. While we are given a relatively comprehensive account of her stage and screen work, her personal life is discussed as a mere subplot. Her illnesses are covered in enough depth to be interesting, but viewers are likely to yearn for more a more comprehensive look into these issues. 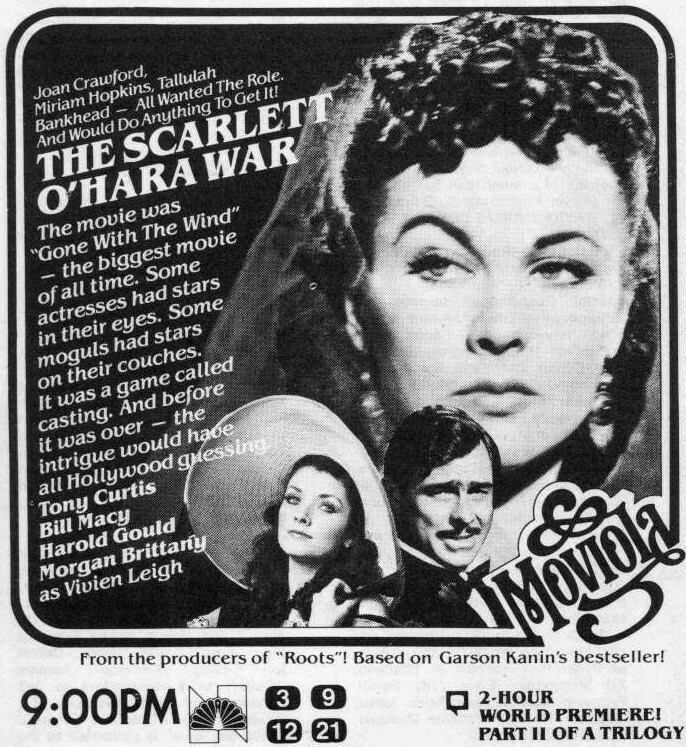 Moviola was a 3-part miniseries for NBC that aired in 1980. It was based on a book by Garson Kanin. The three parts were all quite different, and were titled The Silent Lovers, This Year’s Blonde, and The Scarlett O’Hara Wars. Each of the three episodes stands alone, and each has been shown as separate made-for-television movies. 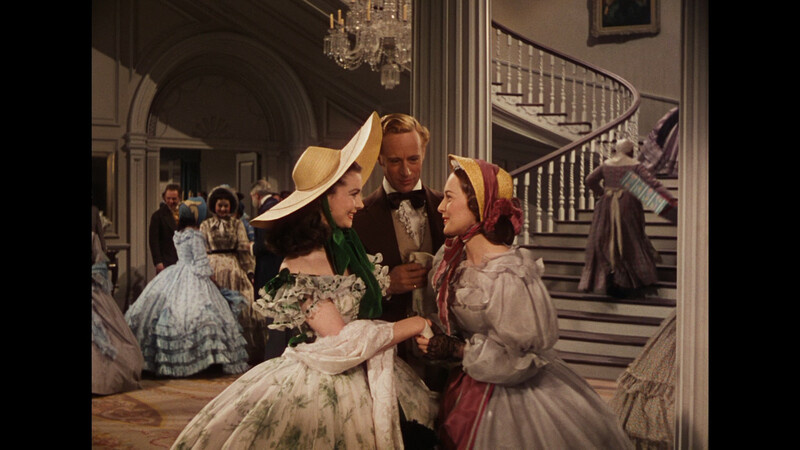 The Scarlett O’Hara Wars was the most popular of the three films, and is included here for fans of Gone with the Wind to enjoy. The story is about the infamous search for Scarlett O’Hara, and features Tony Curtis as David O. Selznick. This telefilm certainly doesn’t replace the other features on this disc when it comes to actual information. 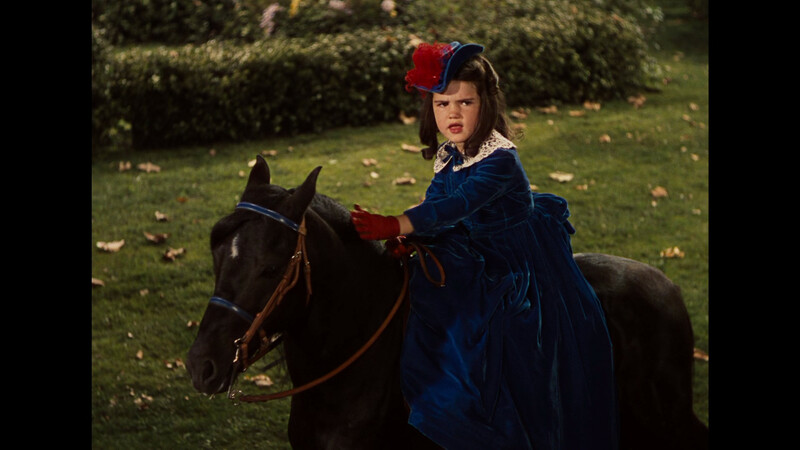 However, fans of Gone with the Wind should at the very least enjoy it as a curiosity. Fans are given short video profiles of various actors that played supporting roles in the film. Each profile is approximately two to four minutes in length. While each profile is interesting, none are comprehensive. However, these little snippets do give viewers an appreciation for the film’s secondary cast members. It is nice to see that these wonderful performers weren’t forgotten. This featurette focuses on the ‘UltraResolution’ restoration given to Gone with the Wind for its 2004 DVD release. It is included here because the ‘UltraResolution’ process informs restoration procedures today. It is interesting to see how much effort goes into a restoration. It is nice to see that a vintage newsreel is included that covers Gone with the Wind’s premiere in Atlanta, Georgia. Fans will thoroughly enjoy seeing all of the footage contained in this interesting newsreel. In 1961 there was a Re-issue of Gone with the Wind to commemorate the anniversary of the Civil War. This re-release saw a second premiere in Atlanta. Vivien Leigh, Olivia de Havilland, and David O. Selznick attended the premiere and were captured in this newsreel covering the event. This particular reel is mostly silent, but remains interesting. While those who lived in the United States were aware of the basics of Civil War history, those in other countries were less knowledgeable about these things. To remedy this, a prologue was added to the release prints for foreign release. This prologue is included here for fans. It is interesting to see this included here. This short was directed by Fred Zinnemann and released by MGM. A short introduction explains that it was produced to provide a cultural background for viewers of Gone with the Wind in foreign territories. It also warns that some of the scenes are racially insensitive. That might be the understatement of the century. However, this only adds to the interest of this short documentary on ‘The Old South.’ The film probably provides an accurate representation of the small minded attitudes of the era. 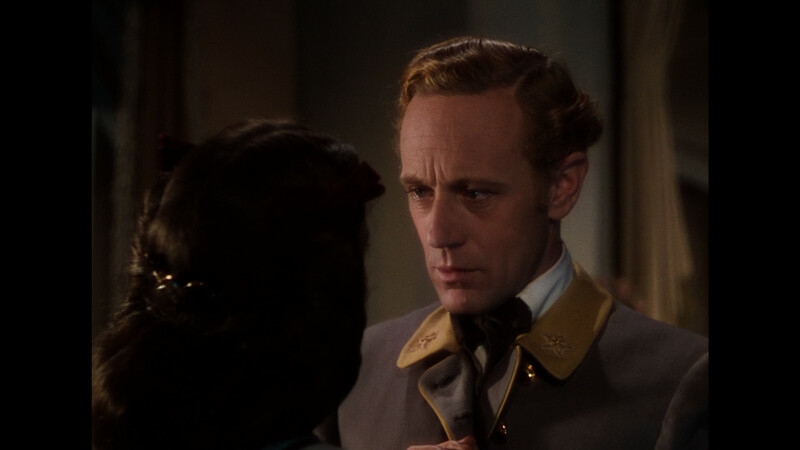 After a short introduction, fans are provided with a few clips from the Foreign Language dubs of Gone with the Wind. Warner Brothers has provided fans with short introductions that provide each of these trailers with contextual information so that we know exactly what we are watching. This featurette is a light-weight discussion by various “authorities” on the south. 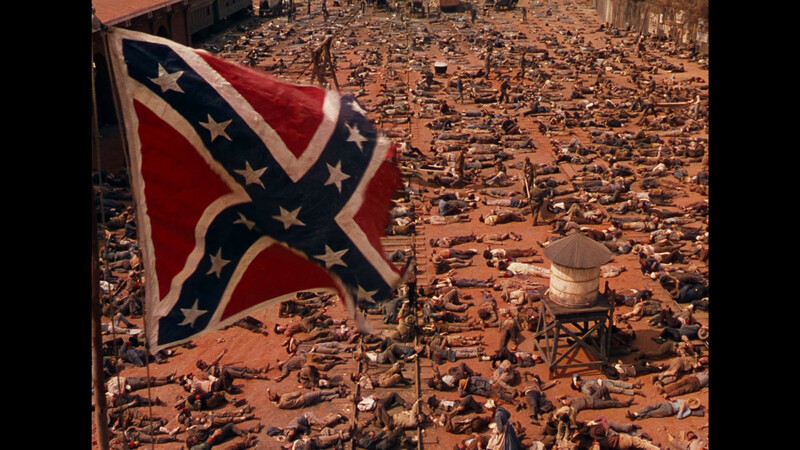 It discusses the somewhat naïve presentation of the south in Gone with the Wind, and compares the film’s depiction of slavery with the harsh realities of slavery. It discusses the civil war, and balances a quiet respect of southern culture with a practical criticism of the darker underbelly behind the culture. This never really penetrates the surface of the topic, but does manage to raise a lot of essential questions in the viewer. The trouble is that the featurette digresses into a discussion of the effects of Hurricane Katrina on New Orleans culture. While one understands why Katrina was mentioned, it seems to linger in this territory for much too long. It never quite meshes with the first half of the program. This reviewer’s favorite of the two new featurettes is this raw footage from the Atlanta premiere. Much of this footage seems to have been prepared for the popular newsreels of the era. The footage is accompanied throughout with the film’s score. Much of the footage is silent, but some of these clips come with a soundtrack. This is an interesting look at the sort of ballyhoo that Hollywood was once so very good at. This documentary mini-series aired on TNT over the span of three nights in 1992. Turner Broadcasting’s production surprisingly rises above the typical glitzy promotional approach that one might expect from such a production. Of course, Patrick Stewart’s narration is sometimes corny, and often naive. (Who can honestly prefer a time when stars were committed to slavish contracts that gave them very little say in their careers?) That said; the nostalgic atmosphere is probably appropriate for a documentary that documents the rise and fall of one of Hollywood’s most sensational studios. The program is broken up into three segments, all running a little over two hours each, making the complete over 6 hours long! 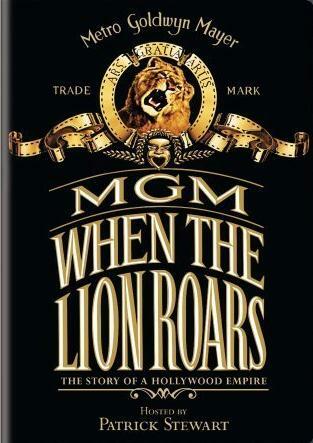 This first episode of the mini-series discusses the earliest days of MGM and covers the history of Louis B. Mayer, MGM’s origins, the studios earliest silent successes, Louis B. Mayer’s appointing Irving Thalberg as head of production at MGM, Thalberg’s success at MGM, the studios early stars, the rise of the talkies, and works its way to Thalberg’s 1936 death. This second episode follows MGM’s next 10 years and features information on David O. Selznick’s success at the studio, Mayer as studio father (or tyrant), the next generation of MGM stars, various MGM craftsmen, various film series of the era, and the incredibly dark (but extremely successful) war years. This third episode discusses the studio’s downfall. The meat of the film begins in 1948, when the studio struggles through two successive years of financial decline. It then moves forward to discuss the introduction of Dory Schary as the studio’s head of production. Mayer finds that he differs from Schary (both politically and artistically), but Schary enjoys a number of successes. As time moves forward; Mayer is forced out of the studio, corporate takeovers ensue, and the studio becomes little more than a memory. The documentary is surprisingly comprehensive, and anyone that has even the remotest interest in this topic will find that their 6 hours were well spent. This spectacular Warner Brothers release has earned an enthusiastic recommendation. 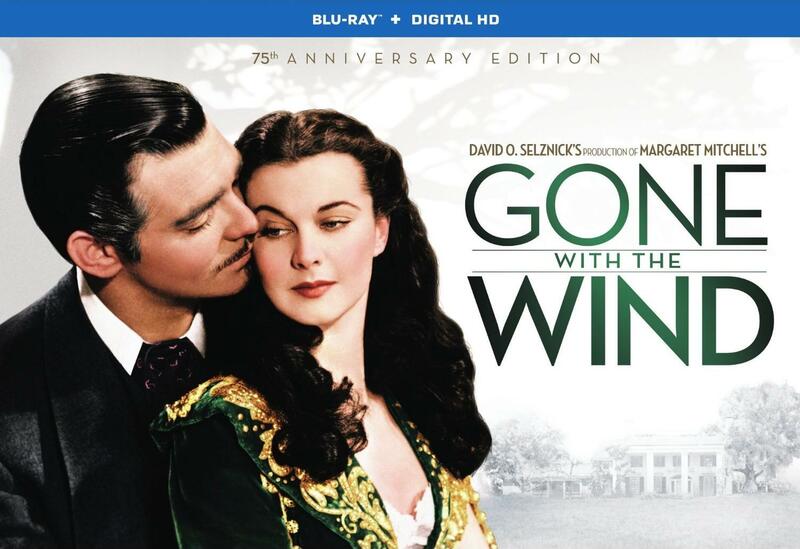 If Gone with the Wind isn’t already a part of your Blu-ray collection, this 75th Anniversary Edition deserves a place of honor on your shelf.